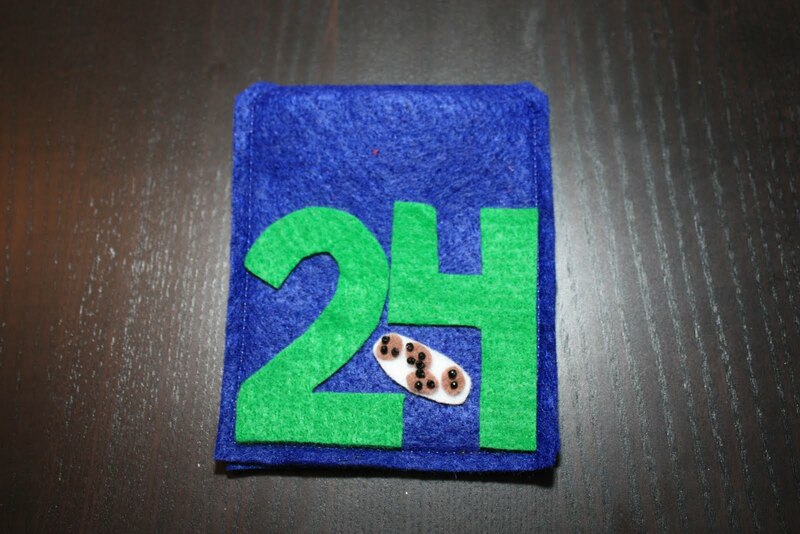 I just wanted to share my photos of the Advent Calendar I finally finished. Or am I early for the holidays?? Anyway, I love to do crafts (always have, talk to my roommates about the candles made on a hot plate at the sorority house) and now that I have a baby – I love to do crafts that benefit him! 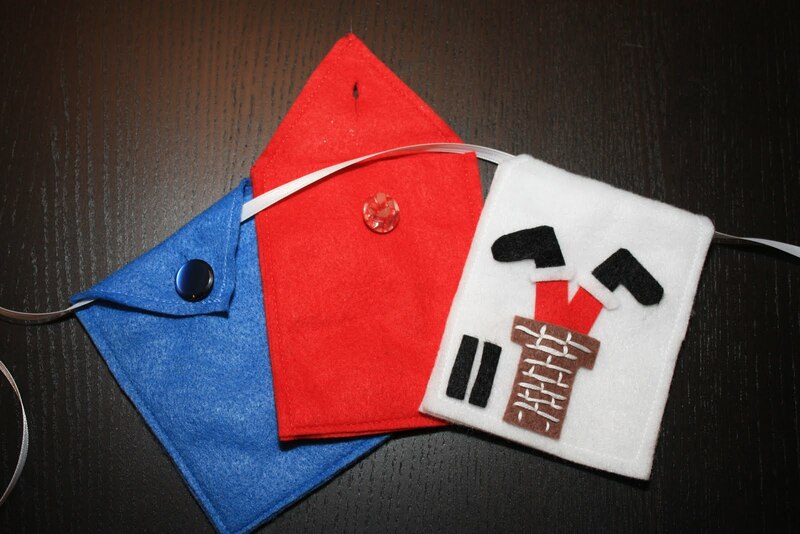 Having a boy does make that difficult, there are significantly more things to make for girls. 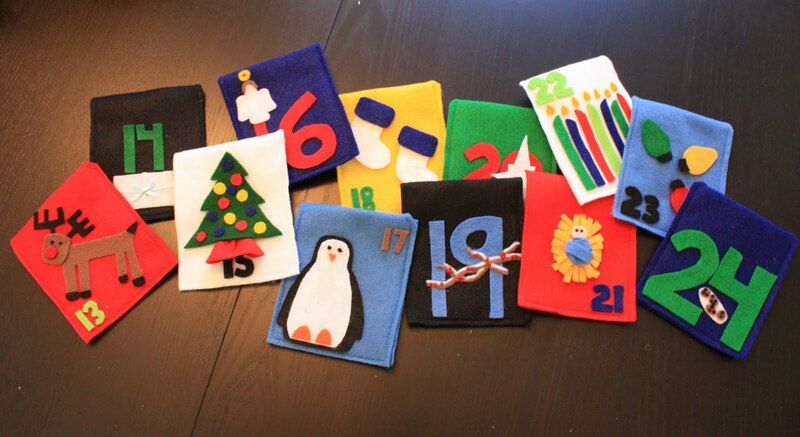 But, I saw an Advent calendar online, made of individual felt pockets hung over a ribbon and knew I had to do that. I have a ton of felt thanks to my grandma Jane, plus beads, sequins, embroidery thread, etc. I even used some buttons from my other grandma for the closures. 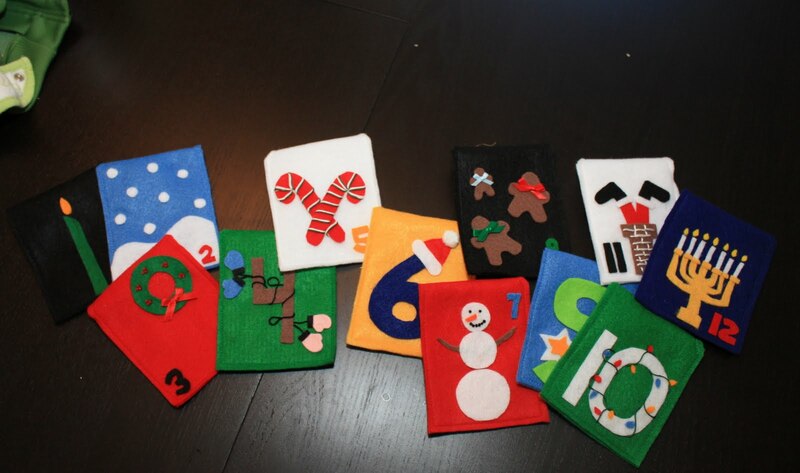 This year I will put little treats, notes and such in the pockets for Zach to open each day leading up to Christmas. I hope he likes them! Those are wonderful! I have a feeling these will become a Wall family heirloom. So impressive and special for Zach. So cute! I think yours are way better than the example you saw. I love how the pocket flap loops over the ribbon — what a great idea!